Musicians On Call is a nonprofit that brings live and recorded music to the bedsides of patients in healthcare facilities. 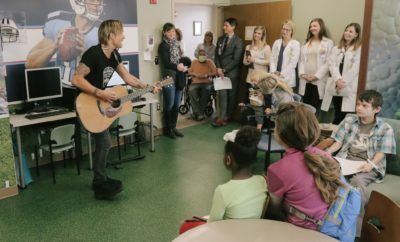 They launched their program in Phoenix, AZ with the help of multi-Platinum selling band Daughtry, who performed for Veterans at the Carl T. Hayden VA Medical Center. 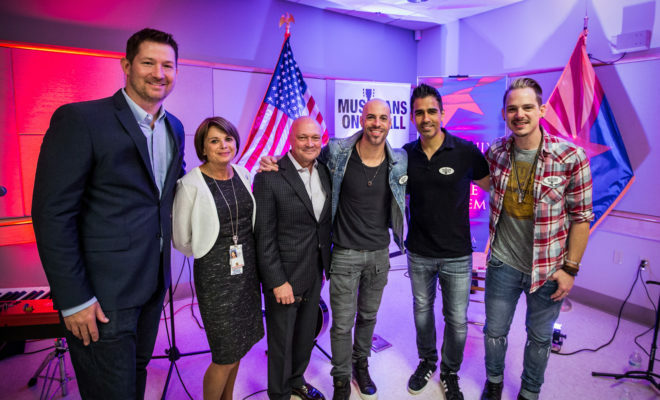 To celebrate the new city launch, Daughtry, who just released their first greatest hits record entitled It’s Not Over…The Hits So Far that includes the single “Torches,” performed acoustically for patients and staff. Following the performance, Daughtry visited patients who were unable to make it to the group performance. That evening, Daughtry took the stage at “Centricity-LIVE” GE Healthcare’s annual software users conference for 2,500 of its customers and staff, where Daughtry recounted their experience with MOC delivering the healing power of music. ← Previous Story WIN: Maddie and Tae Pigeon Forge Getaway Sweepstakes! 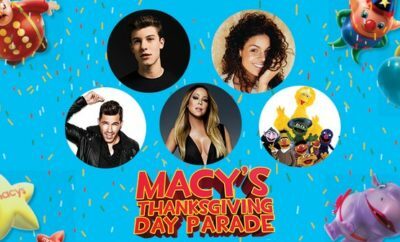 Next Story → Laura Marano To Host Billboard Music Awards Red Carpet LIVE! Walker Stalker Convention Announces 2015 Plans! Those 10 Songs & Albums That Turn 10 in 2015!